About — The Good Beer Co. The Good Beer Co. is a social enterprise beer company. It exists to brew and sell beer to raise funds and awareness for good causes. Ten percent from every beer sold goes to charity partners. 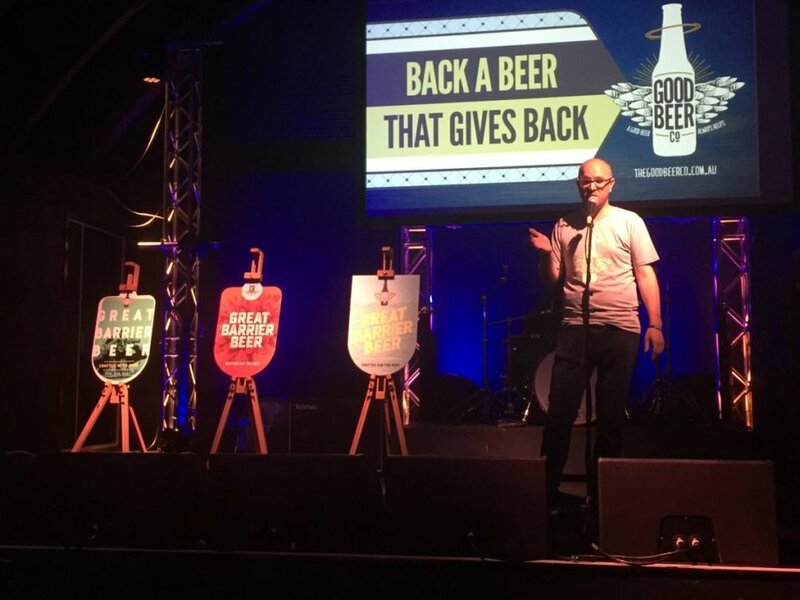 The Good Beer Co exists to make it easy for you to enjoy a good beer and give back. The Good Beer Co. works with good causes, good brewers, good businesses and good beer drinkers to do good. James started The Good Beer Co. to brew beer for good causes and inspire change by demonstrating what purpose-led businesses can achieve. He is a change-maker, pioneering corporate social responsibility at a major banking group, building partnerships to help lift one million UK homes out of energy poverty, helping grow a social enterprise that floated on the FTSE 250, negotiating ground-breaking, multi-million dollar partnerships that cut carbon emissions, creating a national Healthy Air Campaign, and forming an alliance between a new energy company and leading to $3 million in funding for environmental campaigns. He is a proud advocate of purpose-led business and passionate about action to tackle climate change. James is one of the of the Queensland Government's 100 Faces of Small Business and was a finalist in the 2018 Lord Mayor of Brisbane's Business Awards in the Channel 7 Business Person of the Year Award. Great Barrier Beer and the partnership between The Good Beer Co. and the Australian Marine Conservation Society was a 2018 finalist in the prestigious Banskia Sustainability Awards “Minister’s Award for the Environment”, in Australia.